The caravan making its way through various parts of Central America to the U.S. border has already swelled to around 14,000 people, according to a major Mexican newspaper. 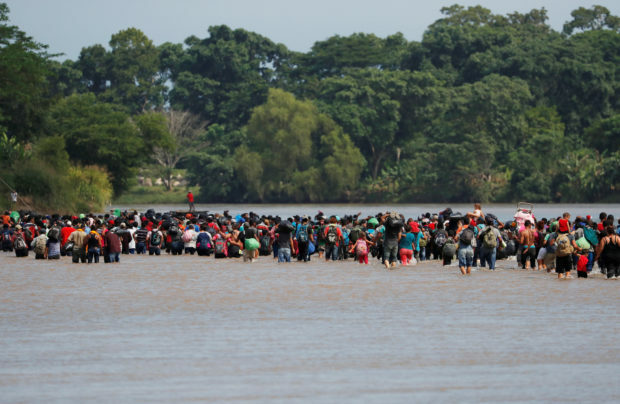 This staggering statistic, and even more conservative estimates, would render the mass of migrants larger than many American towns and communities, according to a review of U.S. census data. El Universal claims to have received the 14,000 number from “municipal authorities, [southwestern Mexican city] Tapachula’s diocese, and the National Migration Institute.” According to The Daily Mail, the number includes up to 10,000 in the main Mexican caravan, 1,500-2,000 more in a second Guatemalan caravan, and an additional 2,500 “planning to mobilize” in Honduras and El Salvador. The Mexican National Migration Institute cited by El Universal did not respond to The Daily Caller’s request for comment in time for publishing. 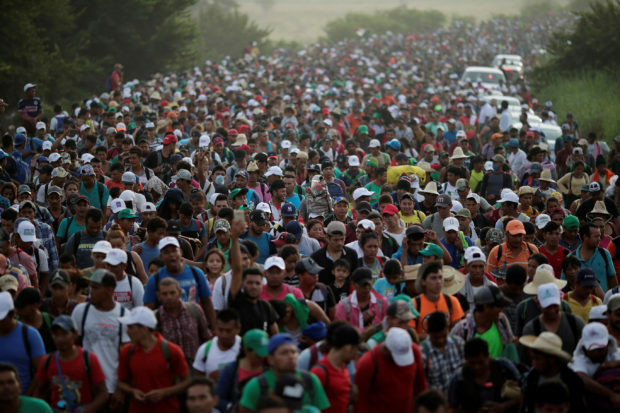 Reports conflict regarding the exact number of people who comprise what the Associated Press has described as “the biggest [migrant caravan] ever.” A U.N. spokesperson gave a more conservative estimate last week, claiming that there were 7,200 individuals in the caravan. The Mexican government claimed last Tuesday it was even smaller, at around 4,500 people. But even if the smaller estimates are more accurate, the caravan could still rival many American small towns in size. According to the 2010 U.S. Census, there were 16,570 incorporated places in the U.S. with a population of under 10,000 people. As the caravan pushes its way through Mexico, controversy surrounds its origins and how best to deal with it. Last week, Vice President Mike Pence claimed that Honduran President Juan Orlando Hernández told him that the caravan is being funded by the government of Venezuela. I am watching the Democrat Party led (because they want Open Borders and existing weak laws) assault on our country by Guatemala, Honduras and El Salvador, whose leaders are doing little to stop this large flow of people, INCLUDING MANY CRIMINALS, from entering Mexico to U.S…..
….In addition to stopping all payments to these countries, which seem to have almost no control over their population, I must, in the strongest of terms, ask Mexico to stop this onslaught – and if unable to do so I will call up the U.S. Military and CLOSE OUR SOUTHERN BORDER!..